Our team of dedicated specialists is ready to create a flawless event with the utmost attention to the smallest detail. We’re pleased to offer an extensive range of amenities and services as well as assisting in the complete planning of your event. As leaders and innovators in the event industry our team is second to none in experienced, professional and creative service. To discuss how we can help you create an event unlike any other, please contact our sales team at 973-731-5600. 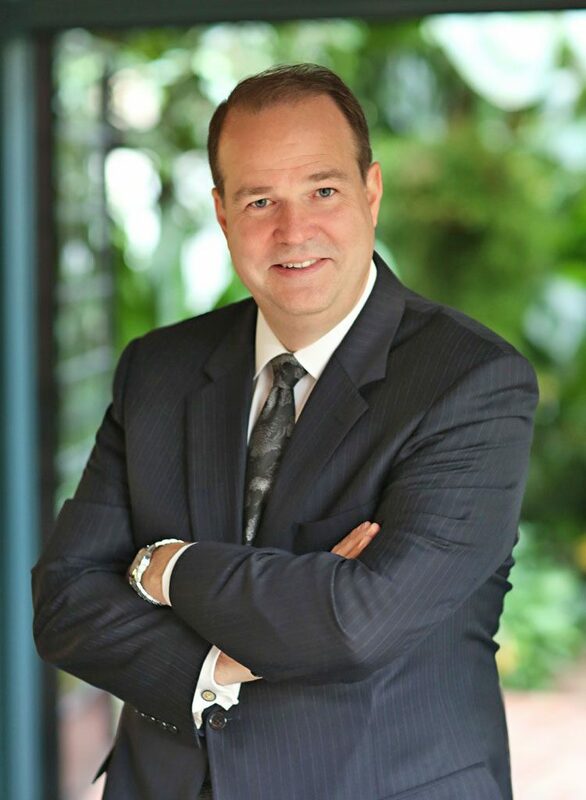 Since 2002, Lars has, as general manager of Pleasantdale Château, created attractive concepts for brides and has maintained the high level of service offered by his team through decades of leadership experience in the hospitality industry. He is recognized throughout the industry for maintaining Pleasantdale Château’s standard of excellence and has truly raised the bar in this field. Lars’ commitment to ensuring that every detail, no matter how small, is attended to, has been evident in the success of his clients’ events and celebrations. Prior to managing the team at Pleasantdale Château, Lars has served as Executive Chef and Director of Food and Beverage for several premier hotels in New York City for a total of 32 years of hands-on experience. Lars is a graduate of The Culinary Institute of America in Hyde Park, New York. With a long-established track record of creating one-of-a-kind events, Fred has dedicated his career to customizing each and every aspect of any wedding and special event of which he has been a part. His keen attention to detail in all event planning services is truly unparalleled, making him a Renaissance man in this industry. There is not a single piece of your party that Fred cannot handle exceptionally and with the precision of an individual who has dedicated his life to making your special day unforgettable. While operating his own namesake event production company, Fred Fogg Productions, he organized a team of professional planners to provide comprehensive top-tier vendors, all of whom contribute to the exquisite, lavish, cutting-edge events for which he is known. In doing so, he would seek out exceptional, distinctive locations for his savvy clients, which led him to host events at the beautiful, Pleasantdale Chateau. Fred brings with him a wide array of experience from cuisine to management, offering him, and subsequently his clients a complete insider’s perspective. As a former executive chef and culinary school instructor, there is nobody better to assist and offer insight in selecting the most incredible menu options for your event. 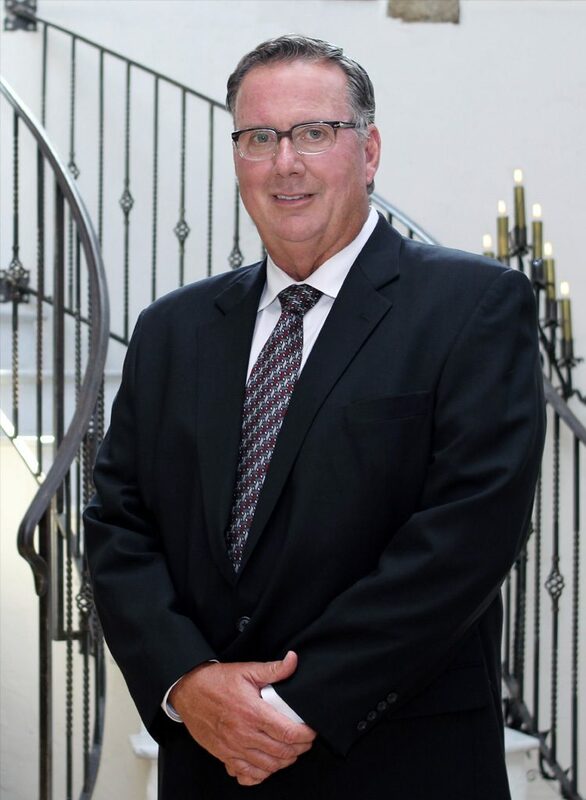 Additionally, having served as Director of Sales and Operations at the Crystal Plaza wedding venue for over 20-years, Fred brings with him a wealth of experience overseeing and personally creating breathtakingly magical parties. From vibrant flowers, to striking décor, to exceptional music and beyond, Fred is a crucial component in raising any event from ordinary to sublime. Born in Quito, Ecuador, Santiago moved to the United States in 1997 to earn his college degree in Business Management. Soon after obtaining his degree, Santiago was hand-selected by Maplewood Country Club where within six months was promoted to Maitre d’, overseeing both private dining and catered events. 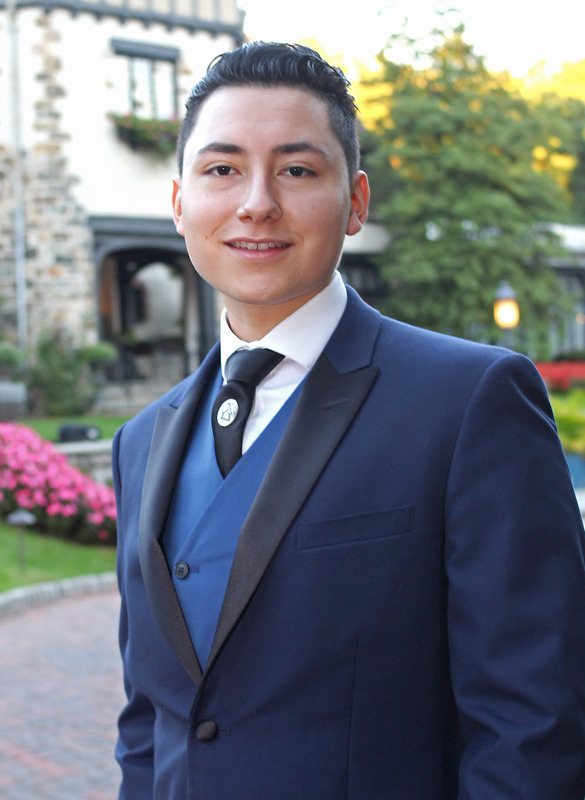 At age 19, Santiago was the youngest Maitre d’ in the history of Maplewood Country Club. In 2004, Santiago wanted to broaden his horizons and attended The Culinary Institute of America in Hyde Park, New York, where he continued his education in Front of House Management and Excellent Service courses. 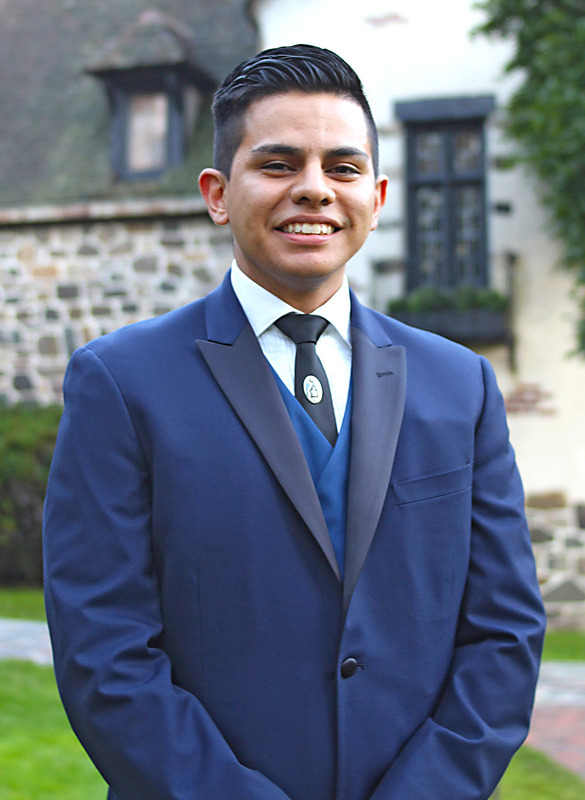 Seeking a high-end establishment that would benefit from his experience and education, Santiago found the Pleasantdale Château, where he accepted a position as a Banquet Captain. Quickly realizing his potential, just six months later, the management team at Pleasantdale Château promoted him to his current position of Maitre d’. 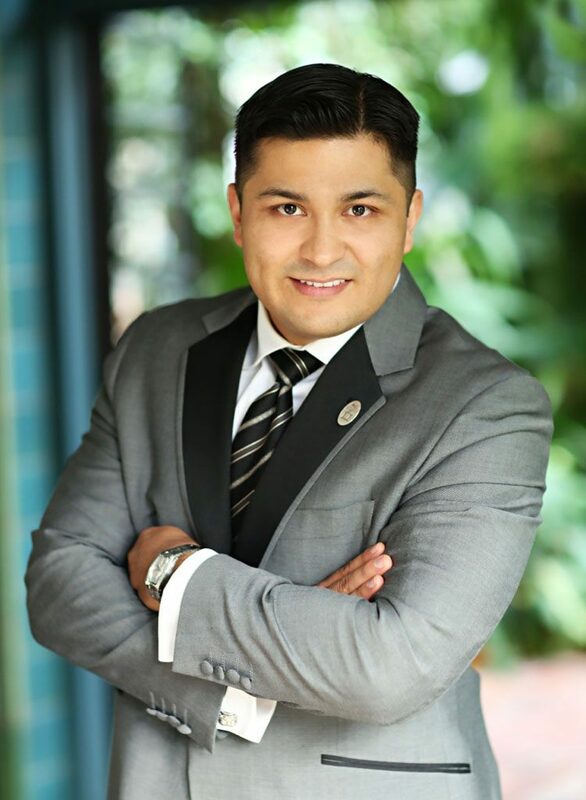 Santiago’s passion for excellence in accommodating every request no matter how big or small, coupled with his charming personality, fits perfectly with the culture of the magnificent Pleasantdale Château. Dawn has been working with Pleasantdale Château’s corporate clientele since 2002. 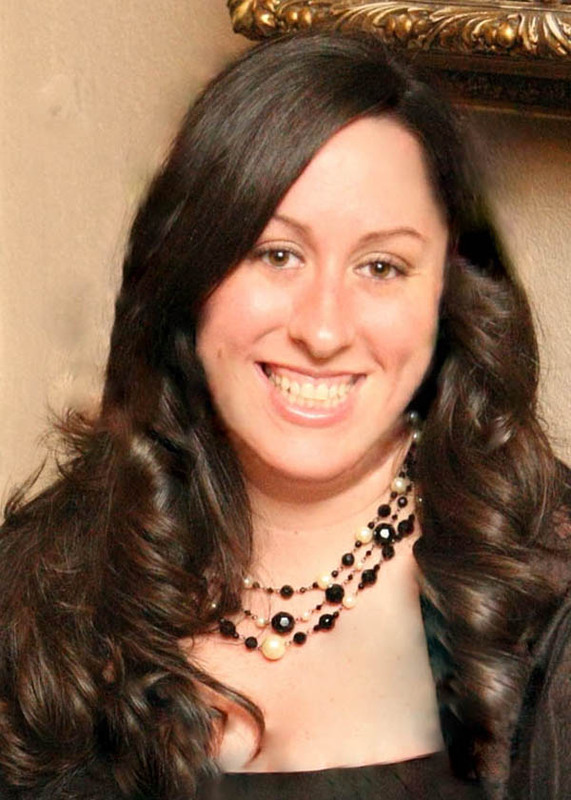 Dawn, a 2001 graduate of Monmouth University in New Jersey started her career as a Sales Assistant at The Hilton Hotel in Hasbrouck Heights, New Jersey assisting the Director of Sales as well as other various duties. In 2002, Dawn’s career took her to the Sheraton at Newark Airport as the Sales and Catering Assistant where she was quick to develop her expertise in the catering side of the business. 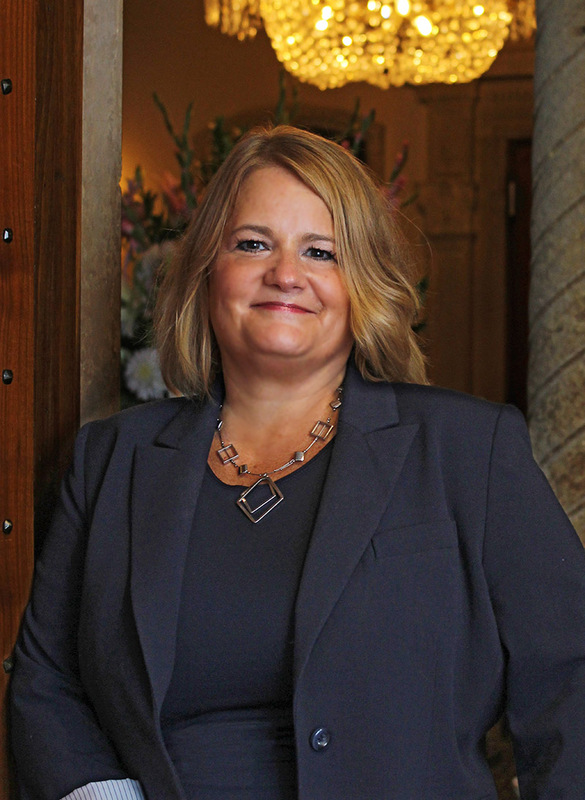 In late 2002, Dawn was given the opportunity to transition from hotel catering to the world of exclusive, private events at Pleasantdale Chateau where she has planned and implemented hundreds of corporate events from smaller breakfast meetings to large industry conferences to corporate holiday parties. With nearly a decade of dedicated service at Pleasantdale Chateau, Marta knows the ins and outs of practically every component of our process that makes the estate run like clockwork. 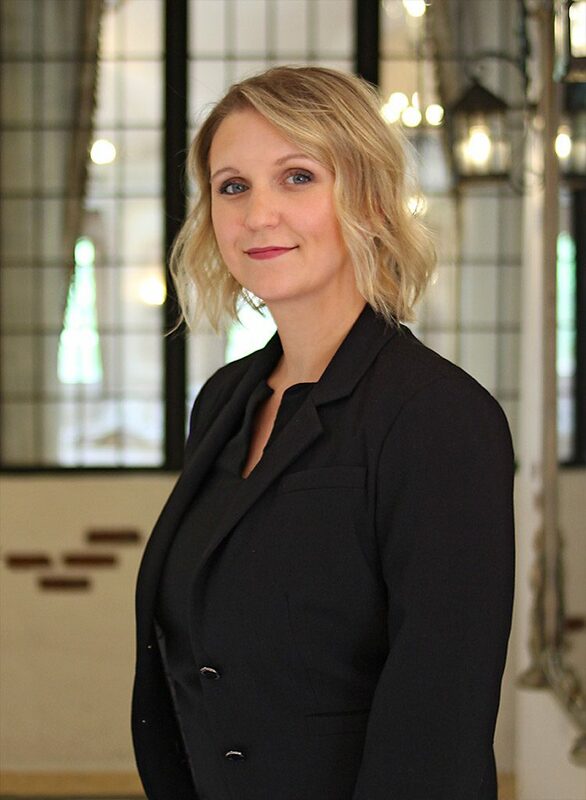 Having worked in our executive office in close partnership with our General Manager, C. Lars Johnson, she brings a great deal of experience handling the myriad back-of-house issues that are the framework that keeps the Chateau looking beautiful and our events running smoothly. Whether it’s her restaurant and hospitality experience, keeping up with her two young children, or multitasking throughout her busy day, she’s well practiced at tackling any task that pops up—and doing so with great aplomb. Born in Peru and having lived in Spain, Frank felt that moving to the United States would offer better opportunities. Frank’s very first opportunity into the employment field was at Pleasantdale Chateau. Fresh out of high school in August of 2005, Frank was hired as a banquet server and bartender. Frank’s remarkable way of keeping calm under pressure and his unassuming and astute personality led him to being promoted to Banquet Captain in less than two years. 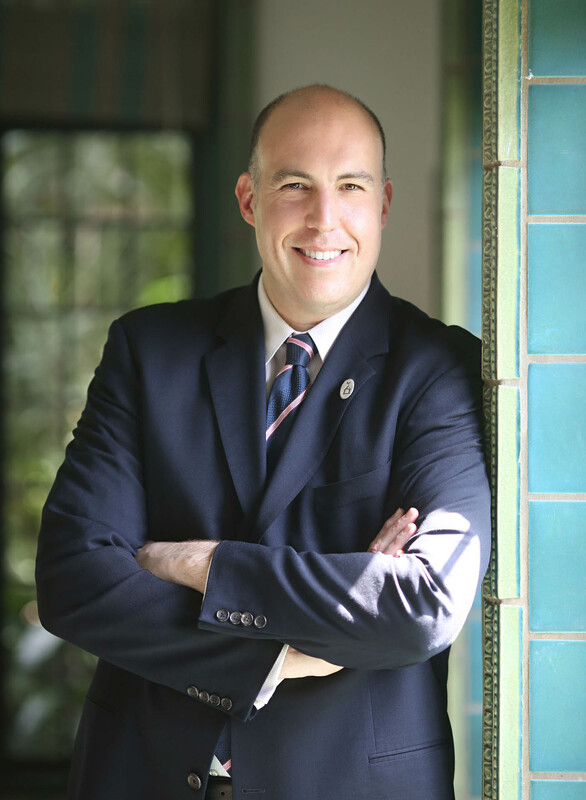 Frank’s responsibilities range from (but are not limited to) setting up ceremony sites, to overseeing the final set up of the Ballroom and to interact with vendors at events. Frank has also taken on the role of Banquet Manager, scheduling and mentoring the service staff, making sure Pleasantdale Chataeu’s high standards are followed. Frank enjoys working closely with the Catering Sales Managers to ensure that every detail is perfectly executed and works hard to deliver the Pleasantdale Chateau dream experience to each and every client. Briant came to Pleasantdale Chateau in 2003 and was hired to fill a banquet server position, as well as a member of the set up crew for all events. This was Briant’s first excursion into the hospitality industry. Having previously worked in the corporate field, Briant felt unfulfilled and always felt there was something ‘missing’. He ventured into this business due to his love and interest of diverse cuisine and his curiosity to learn more. After two years, in 2005, Briant was promoted to his current position of Banquet Captain. 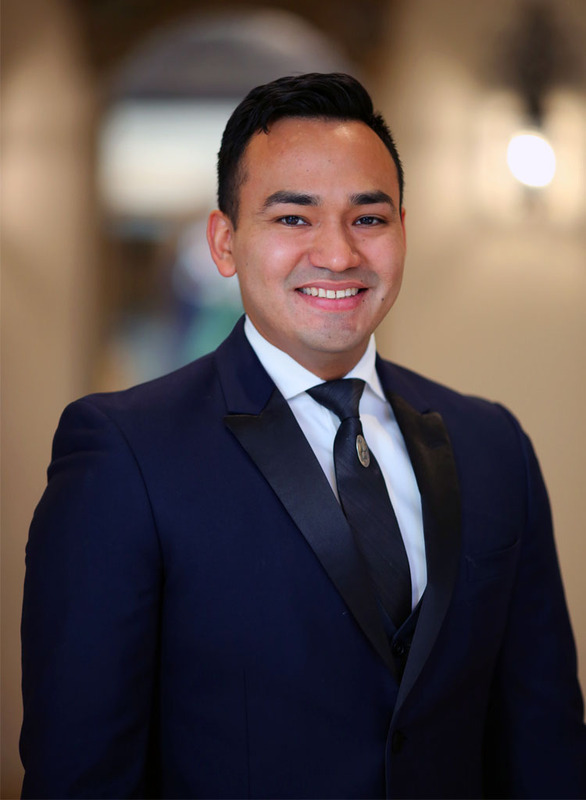 His primary responsibility is to assist the Maître d’ with his duties, but also to make sure all events run smoothly, from creating beautiful Ballroom settings, to helping make sure every guest receives the full Pleasantdale experience. Doing double duty as the Beverage Manager, Briant must also maintain the liquor inventory and ensure that all special orders are placed and delivered in a timely manner. After 14 years, Briant feels that he has not only found a home at Pleasantdale, but loves that he’s able to do what he believes he was always meant to do, making our clients and guests happy to be at the Chateau. Seeing a need to expand the Banquet Team due to yet another growth spurt, more than two dozen applicants were interviewed, however, none quite meeting Pleasantdale Chateau’s high qualification requirements. 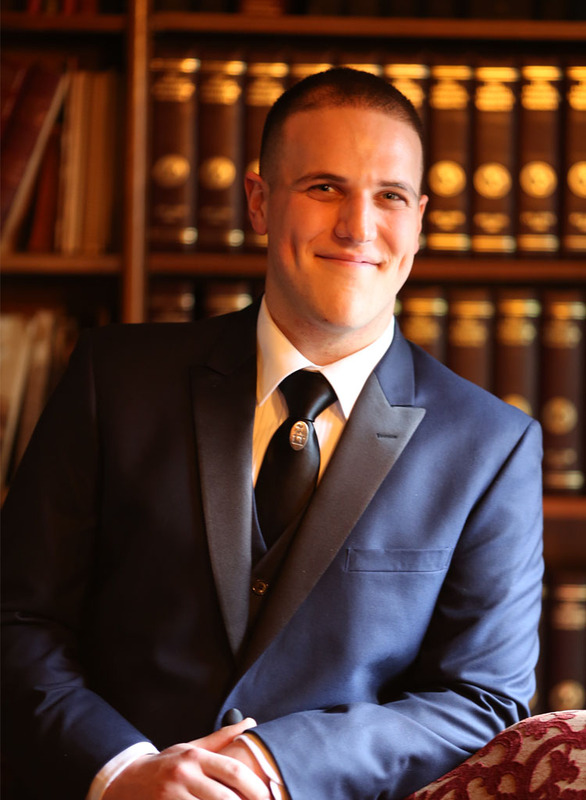 When Rich finally arrived at the estate for his interview, it became immensely clear that due to his extensive knowledge of the hospitality industry and his outgoing persona, he would be hired immediately to join the team. Having worked more than five years at an upscale country club, he quickly made his way up the ladder from busboy to server to floor manager, collecting much experience and a keen understanding of the business along the way. Rich fits in nicely with the entire staff at Pleasantdale Chateau. His pleasant and likable personality, as well as his desire to please all guests and clients, make him a welcome addition to the team. Gio began his hospitality career as a banquet server at Pleasantdale Chateau. His charismatic persona and willingness to seek out responsibilities beyond the expected earned him a reputation on the estate as resourceful and reliable team member. Through his diligent work ethic, he quickly proved his leadership potential. Consequently, he soon earned the position of Banquet Captain, entrusted with managing his peers. Not far removed from the duties of a server, he is well attuned to their needs, using his personal experience to best direct them how to best serve our guests in the Pleasantdale way. 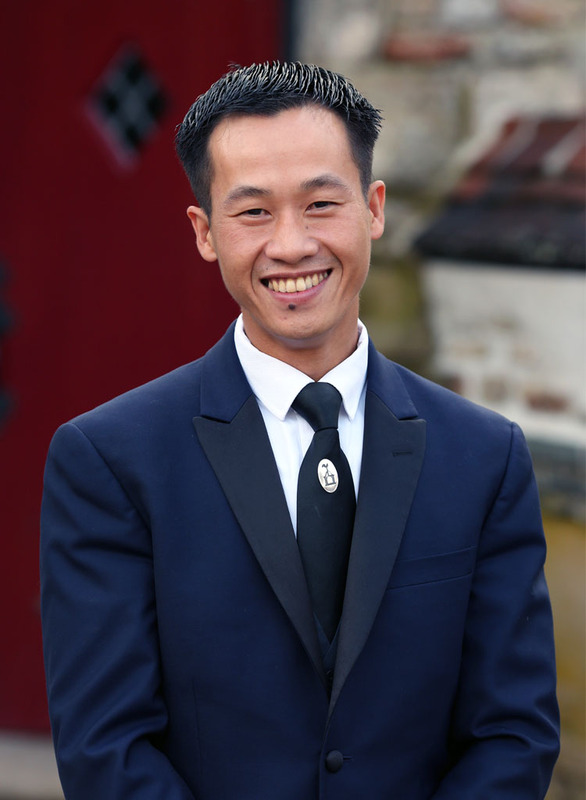 His keen eye for detail and dedication to guest service helps ensure that our clients are cared for fully. Embracing his chosen career with vigor, he can say with certainty that he has found a home, as well as a family, within Pleasantdale Chateau. 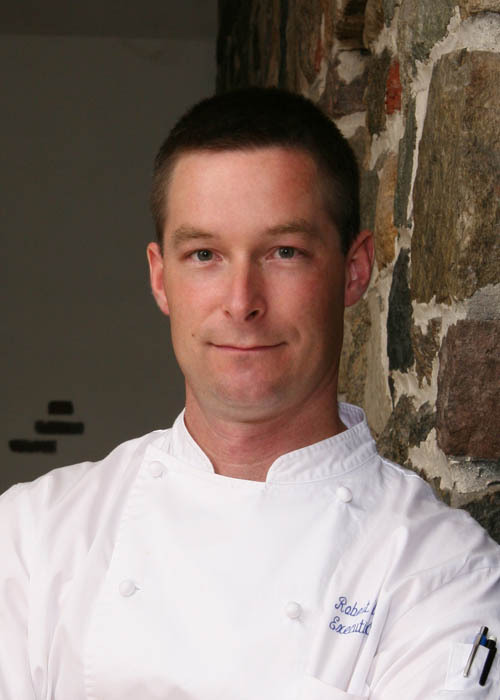 As leader of the culinary staff at Pleasantdale Château, Chef Robert Albers brings to bear a lifetime of experience, all of which has helped to earn countless awards and recognitions for this unique venue. His culinary creations have wowed guests and consistently garnered rave reviews from amongst its sophisticated clientele. In his seven-year tenure at this West Orange, NJ landmark, he has helped to set Pleasantdale Château apart with standards of cuisine on par with the grandeur of the estate itself. Chef Albers was selected for this challenging position by the Knowles family, a three-generation team of restaurateurs, who across their diverse venues have established a reputation for being at the vanguard of fine dining. Before leading the kitchen at this historic estate, Chef Albers worked at The Ritz Carlton on Central Park where he was bestowed by this icon of luxury service with the “Department of the Year Award” for customer satisfaction, employee satisfaction, and most improved. Adding to his hotel credits, he has also served as Banquet Chef for The Mark Hotel and was a member of the well-respected culinary team at the Four Seasons Hotel. Prior to pursuing his hotel experience, Chef Albers worked under Chef Troy Dupuy at the esteemed Lespinasse in Washington, DC. He later rejoined Chef Dupuy in Manhattan at the venerable landmark of French gastronomy, La Caravelle. His early restaurant experience also includes his work in pastry at 28 Restaurant in Montclair, NJ. With a degree in philosophy from Washington College, Chef Albers also brings a unique insight to cooking and the experience of dining. An insight developed early, having spent time in a variety of kitchens, touring farms and seeking inspiration from Julia Child’s masterwork, The Art of French Cooking. After attending graduate school at Catholic University, Chef Albers’ culinary career began in earnest when he accepted a position as a work-study student at Peter Kump’s Cooking School in Manhattan, established by its namesake, one of the most influential figures of the American food scene, a champion of French cuisine, and founder of the James Beard Foundation. But Chef Albers can track his true passion for cooking back to his mother, Judy Albers, who enlisted her children’s support in coordinating family dinners. She soon realized his interest in the kitchen and encouraged his development—an encouragement that has carried him through to many career highlights, from cooking for celebrities and special guests to participating in dinners at the James Beard House. Chef Albers continues to bring his experience and passion for cooking to the kitchen of Pleasantdale Château, regularly producing dishes as memorable as the events for which they are created. Institute of America at Hyde Park, NY. While there, she achieved degrees in both Pastry Arts as well as Pastry Arts Management, covering both ends of the creative and business aspects of her vocation. Carla’s experience creating desserts-to-dine-for covers a diverse range of restaurants in Manhattan as well as New Jersey. Among them include her having served as head baker at Sugar and Plum, the acclaimed bistro, chocolatier, and bake shop, where she oversaw the organization and management of pastry production and ensured complete quality control of their diversity of delectable treats. Broadening her experience in large-scale production, Carla also applied her talents at the elite caterers for weddings and corporate events, Sterling Affair. During her tenure, she created tantalizing treats for the table at grand events for esteemed discerning clients ranging from Columbia and Yale Universities to the Rockefellers. Creativity abounds with Carla. From cake decorating to continually exploring new concepts and interesting presentations, she is passionate about staying ahead of the trends while mastering the age-old art and science of baking. Carla’s bright and friendly personality is as sweet as the treats she creates, but she also brings to Pleasantdale Chateau her focus on perfection and organization, ensuring that every detail receives her full attention. A happy baker if there ever was one, Carla puts a little bit of love and a little bit of herself into every mouth-watering morsel. She’s always on the look-out for ways to identify our couples’ wedding themes and work them into a dessert or find a whimsical way to wow our guests. Hungry for knowledge and new experiences, Carla is constantly challenging herself to develop fun, unique approaches that will result in a confection that tastes as decadent and flavorful as all her desserts look. More than a craft, she brings artistry to her baking. On one such occasion, when she freehand-painted a stained glass motif on a wedding cake, it inspired her to develop the talent that she revealed. Carla, even now, is feeding her artistic side, taking painting classes in her finite free time to further hone her technique to apply it to her profession. She’s been known to say, “I love making things beautiful and pretty that people can enjoy; I love bringing a shine to my work”. 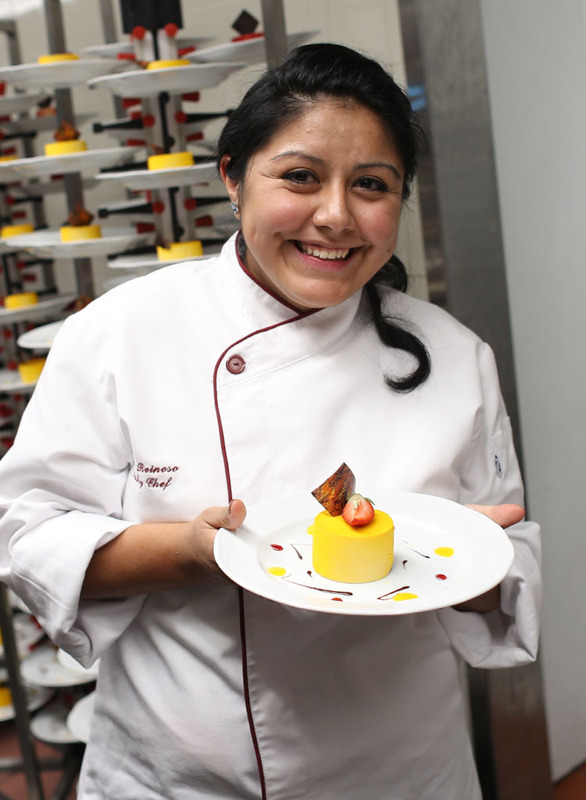 Well, her work shines–just as much as her happy smile that we see every day in our pastry shoppe. 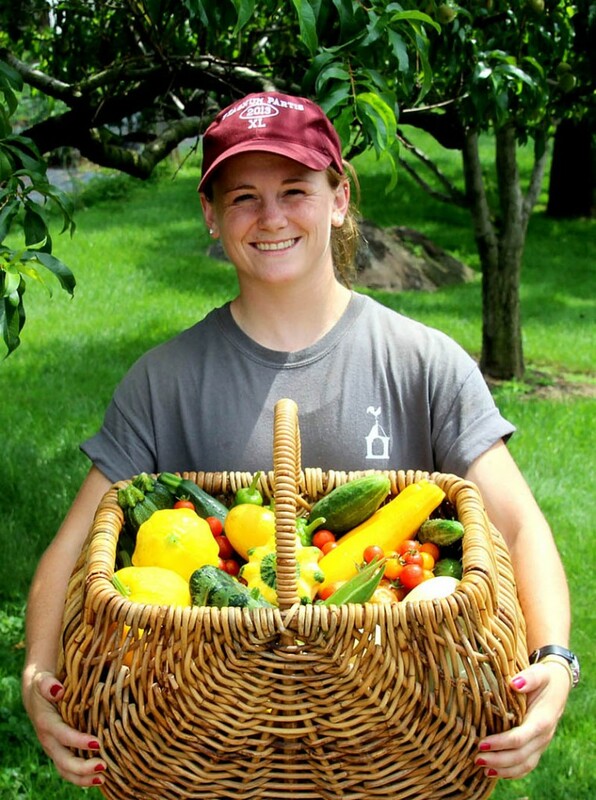 Jaycie Sluss, our Farm & Grounds Manager, is responsible for all aspects of the operation of our farm as well as the maintenance and beautification of our grounds throughout the entirety of the estate. It’s an all-consuming Herculean task which she takes on with great aplomb. With the help of her team, she ensures the fields are planted, tended and harvested, along with the multitude of other requirements of the job, whether in 100 degree temperatures or those below zero. If you happen to drive through the grounds or stop by the farm when we’re not hosting an event, you’re likely to see Jaycie with a shovel or wheelbarrow in her hands, not just directing the work, but leading the way…and always doing so with a smile. Continuing in the tradition of our past caretakers, Jaycie not only oversees the upkeep of the farm and the picture-perfect appearance of the grounds, but resides on the estate as well to keep an ever-present close watch on its care. With an extensive background in business administration, coordinating myriad aspects of the day-to-day operations for highly active legal and financial services firms, Christine brings a focused sense of efficiency and order to her work at Pleasantdale Chateau. Coordination, scheduling, process organization, and timely task management are among the many attributes that we have come to value in her work on our estate. But don’t be fooled by her stringent sense of order and procedure—your first impression of Christine will be a much more personal one of warmth and welcoming. The organizational challenges of attending to, and booking, the sought-after rooms of our chateau are detailed tasks that our average guest will never notice. It is her inviting demeanor and guest-friendly accommodating spirit that our clients experience. For Christine, it is her passion for the personal connection that makes her efforts for clockwork organization so rewarding. Ever-present but never conspicuous is Kirk’s operational objective while at the helm of our estate’s safety and security program. Ensuring that our high-profile, celebrity, and elite corporate clientele can be comfortable and at ease at all times while with us requires careful attention. Kirk’s mandate is to employ and oversee measures that keep each and every one of our guests secure throughout our sprawling estate and maintain their privacy with discretion without ever being obtrusive. His goal is to help make our guests feel comfortable without ever a need to think about or notice the safety protocols being utilized during their stay. As Kirk has said, if a guest never even realizes we’re there, then we’ve accomplished our goal.